Menopause is a natural but extremely stressful process, which occurs in woman's body at the middle age. 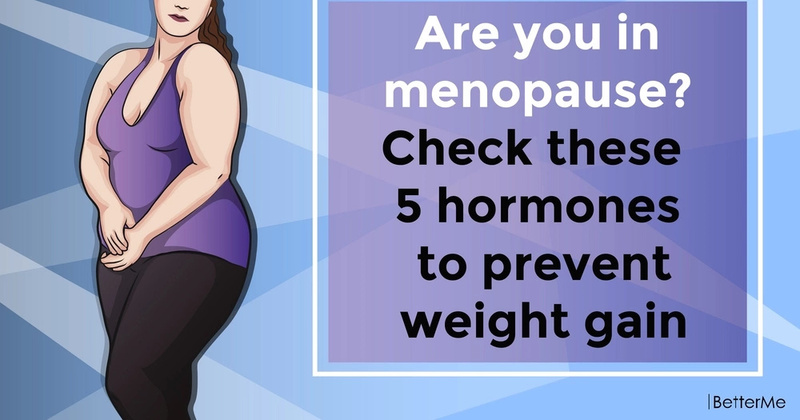 You probably know that menopause is a consequence of hormonal decline that starts at the age of 30-40 and progresses in the course of five to ten years. While we associate menopause with drop of estrogen and progesterone, it affects wide variety of other substances. Changes in woman's body comprise not only loss of ability to get pregnant. In reality, high number of complicated processes influence on your metabolic rate, mental performance, mood and physical features. Many of us start to gain weight before and during menopause. 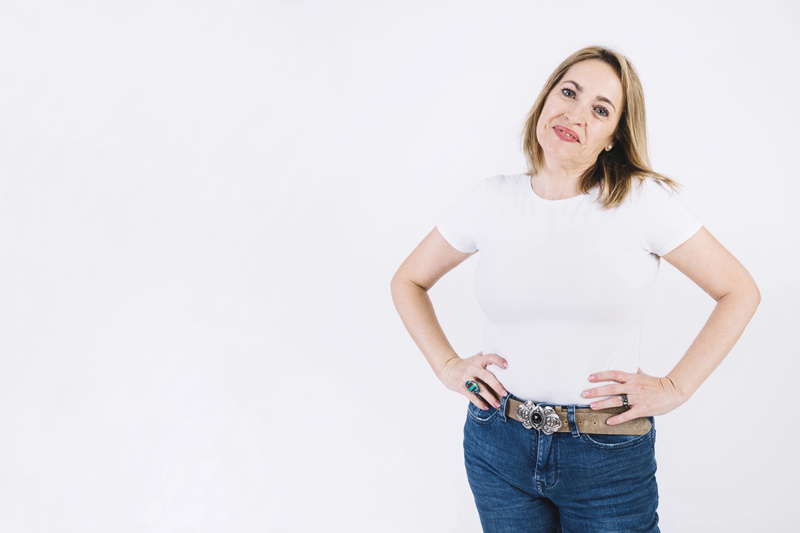 It's especially common that women in the mid-age accumulate fat around the waist. Having too much abdominal fat is associated with higher risks for type 2 diabetes, heart disease and even breast cancer. #1. Estrogen – decrease of this hormone is responsible for almost all menopause-associated symptoms. Specialists say that both high and low estrogen can result in weight gain. 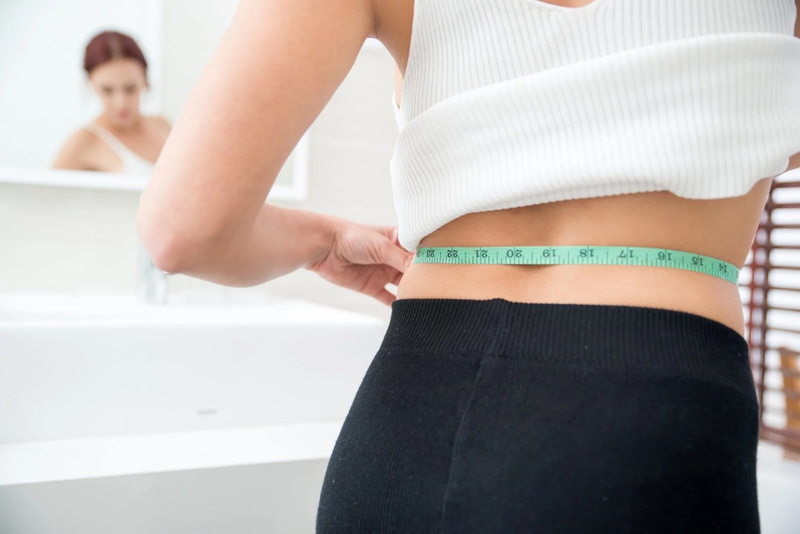 The difference is that those, whose estrogen levels are too high, tend to build up fat on the hips and thighs (subcutaneous fat), while in women with decreased estrogen fat is accumulated in the tummy area (visceral fat). #2. Ghrelin – so-called hunger hormone was found to be really higher in women, who enter menopause. As a result, they feel hungry more often than others and crave for unhealthy high-carb foods. #3. Leptin – this substance sends signals to your brain that you're already full and it's time to put off the spoon. But when your estrogen levels drop down, production of leptin may be also impaired. So you won't feel satiated even after eating a big meal. #4. Insulin – your pancreas secretes this important hormone in order to convert glucose from food into the energy and to deliver it inside the body cells. The problems may occur, when body cells become resistant to it. The pancreas tries to overcome this problem and produces more and more insulin. According to the studies, high amount of this hormone has a close link with obesity and type 2 diabetes. #5. Cortisol – when you experience emotional tension, your body releases stress hormone cortisol in order to mobilize your strength and resistance. But chronic stress and depression, which frequently happen in menopausal women, may increase your appetite and make you eat shape-ruining foods like chocolate, cookies and chips.